Center of Dreams is out now! Today the Arsht Center is a cutting-edge venue of style and art, a landmark beloved by the city’s residents, and a magnet for tourists from all over the world. Presenting performances that celebrate the richness of Miami’s diverse population, it showcases emerging local artists and attracts international stars. 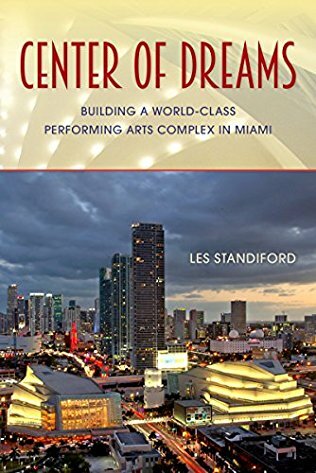 Resident companies include the New World Symphony, the Florida Grand Opera, and the Miami City Ballet. Its improbable story is a testament to the influence of cultural advocacy, the importance of government support for the arts, and the power of the arts to repair and sustain communities. —Stephen Placido, ASTC, vice president, TSG Design Solutions, Inc.